The association technology market continues to attract the attention (and capital) of private equity firms. Among 2016's private equity deals, the biggest news was JMI Equity’s $55 million investment in Higher Logic last fall along with Higher Logic’s subsequent acquisitions of Socious and Kavi. Then came news of the investment by two growth equity firms in MemberClicks. Now, the community is buzzing about the consolidation of three major AMS players under a new industry brand. 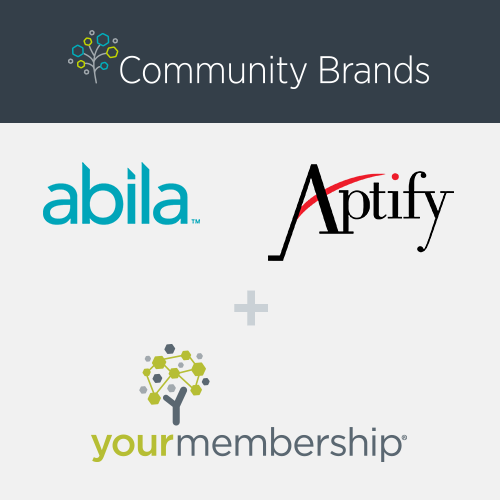 Abila, Aptify, and YourMembership have “joined forces” under the Community Brands umbrella. YourMembership president and CEO JP Guilbault is now president of Community Brands and, as such, will also head Abila and Aptify. While JP has been named the CEO, individuals to run the day-to-day operations of each company have not been announced. Insight Venture Partners, a private equity firm, is the primary investor in Community Brands. This isn’t the first industry consolidation for Insight. In the past, they’ve acquired brands in the ministry and education industries and consolidated them as Ministry Brands and Education Brands, respectively. In an interview on Association Chat, JP said this model—brands pooling their resources in fragmented markets—has been successful in those verticals. Now, Insight is doing the same in the association technology niche. What are the specifics of the Community Brands deal? There’s lots of players and services in the market, and there’s opportunities to bring them tighter together to work more cohesively doing a best-of-need, best-of-breed attachment…we’re always interested in growing. We want to look at the opportunity to make the role of the AMS what it was designed to do and then tighten the integrations of other applications so that it’s seamless to customers. And, we want it to be open because even if you’re not in our family of brands, we know that there are still opportunities to connect with value-added tech and services. Any AMS (or technology platform) could be acquired as part of an investment strategy by Community Brands or other private equity firms—keep that in mind when shopping for an AMS or any software. Why are so many people talking about Community Brands? Will all three products be developed and supported at current levels for the foreseeable future? Will Community Brands invest more heavily in one of these products (and its market) or equally in all? Will they expand into other markets (e.g., governmental organizations) and how will that affect their commitment to the association community? Will existing or future products be developed and geared toward a specific niche within the nonprofit space (e.g., unions)? Will Community Brands build a new AMS product? We’re committed to the products that are in market today. We’re committing to supporting and maintaining and adding more to those products as we go forward. But most importantly, we’re committed to protecting the investment that these organizations have put into their technology. But, from a business perspective, does it make sense to continue investing R&D dollars and following the current roadmap for legacy systems like netFORUM and Aptify? What we’re trying to do is actually create a path forward and when the path forward is clear to a customer and more value is recognized, they’ll go forward with you, but don’t do [migration] by force. What should associations do now that Abila, Aptify, and YourMembership are under one umbrella? As we say in the consulting industry, “It depends.” The impact of this announcement on your organization depends on where you are in the AMS lifecycle. Selecting an AMS? 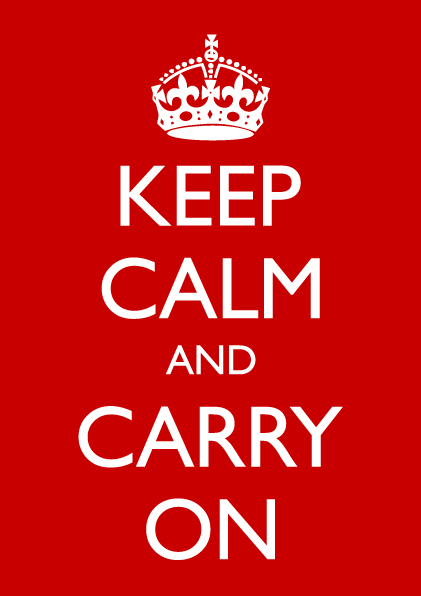 Stay the course and stick to your selection criteria. If one of these systems is the best choice, don’t seek another to be ‘safe.’ As we said before, any AMS could be acquired one day—even tomorrow. Entering into an agreement with an AMS vendor? Make sure your contractallows for flexibility and a path forward to take advantage of new opportunities. At the same time, make sure the contract provides options if your vendor gets acquired and certain terms aren’t met (for example, in the event performance degrades notably during the design study, you should be able to be reiumbursed for costs to date). Stay close to the baseline product and its core functionality. Don’t try to fit functions into the AMS that could be better served with a connected best-of-breed offering. Avoid customization or complex configurations so you’re able to take advantage of upgrades. As a comparison, think about how you approach your financial management system (FMS). While this is an extreme example (because an FMS must follow GAAP and can’t really be customized), think about how you typically don’t configure complex business rules and exceptions into this system. Instead, you tweak your accounting processes to conform to the best practices inherent to the FMS. Why not approach AMS functions and processes the same way? Using an AMS? Be ready to adapt to unexpected changes as they occur. Remember, anything can happen in the technology market—we’ve witnessed plenty of developments and disruptions over the past three decades. Plan for change and position your organization for change. Think ahead when building out technology systems: build them so they can evolve with your needs. Focus on your association’s roadmap, not just the product roadmap. Think differently about the life of your AMS—technology doesn’t last 15-20 years. It’s more realistic to think in terms of a 3-, 5-, and 7-year plan for your technology stack. Focus on your business goals. For example, if your association has advanced event management or certification needs, consider a partner product instead of fitting those needs into the baseline AMS options. JP said the future AMS roadmap will be “customer-driven and customer-led” with “business models at the core of what we design going forward.” Plan to participate in this evolving conversation about the future of the AMS and related technology. JP wants to hear from the community and plans to talk with associations and technology partners. Get involved in these discussions by participating in technology user groups, going to user conferences, and meeting with the staff of your AMS and other technology partners. What can we look forward to from Community Brands? Associations are starting to look at technology with a more strategic perspective—we see that in the popularity of our IT Maturity Model and in research published in the ASAE Foundation’s Tech Success Study (conducted in partnership with both DelCor and Rockbridge Associates). Member expectations are driving association innovation, and business models are being disrupted. There’s a need for a more flexible, modern AMS, but no one knows what that looks like yet—except, as time goes on, it is likely going to be part of the technology ecosystem, not the center of it. We’re looking forward to seeing Community Brands use their resources to improve and evolve the family of products they’re acquiring. JP said he wants to offer choice going forward. We hope to see him use his company’s resources to strengthen under-served markets and provide innovative solutions. Change isn’t easy—the near future will be challenging, but that’s become business as usual in our industry. It helps to have a partner by your side to guide you through technology assessment, strategy, selection, and implementation—and that’s as easy as giving us a call to chat about your technology questions and concerns.